Top off your graduation with a custom cake topper crafted with your first name and current graduation year. 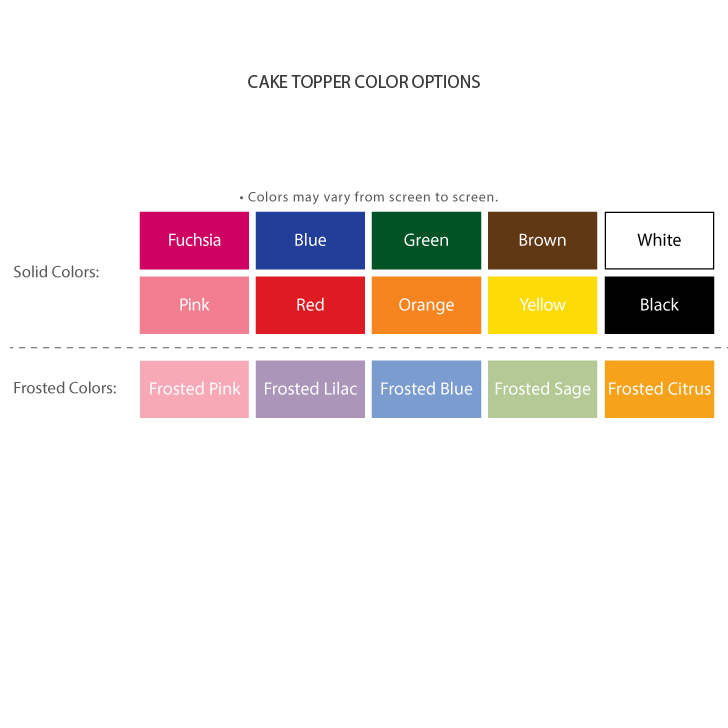 Choose from a variety of cake topper colors to complement your school colors. 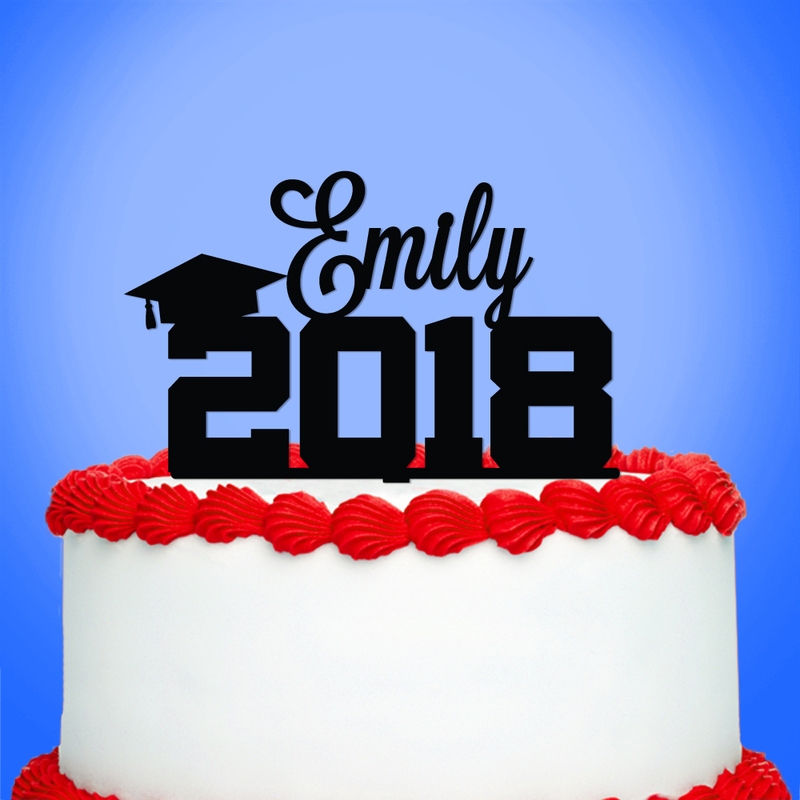 Our personalized graduation cake topper is a creative way to add a custom touch to your cake. The topper features the graduate’s first name and the current graduation year with a mortar board cap. With no pick showing in the back, they’re beautiful from every vantage point. Personalization - maximum of 10 characters including spaces for name. Made with current graduation year. I ordered for my daughter's graduation and was very pleased with the cake topper.